The last great wars of generations past are ingrained in our common memory, but they are a relic of a pre-nuclear age. How will wars be fought or avoided in an era defined by mutual assured destruction? The future of war in the nuclear age can be divided into two categories: war-fighting and war deterrence. A modern military's purpose is either to fight effectively or have the ability to discourage a war in the first place. In recent decades, special forces have been the most active tools in the arsenals of modern militaries. Precise and effective, these types of units are more relevant in today's operational requirements. But largescale war-fighting is still a responsibility of modern militaries. Modern technology incorporated in air, sea, and land forces is a determining factor in warfare. The most decisive factor, however, is the possession of a strategic nuclear arsenal with 'second strike' capability, able to respond with a crippling blow in the event of a nuclear first strike. War-fighting as a whole can be divided into the conduct of asymmetric war, or war between two nuclear powers. Asymmetric war can further be divided into war between two non-nuclear powers or theatre war with conventional weapons between a nuclear power and a much weaker non-nuclear state. Two exemplary cases of the latter are the wars in Iraq and Afghanistan. By contrast, war between nuclear powers hasn't yet been a reality. The fear of escalation has prevented the use of force between great powers, averting countless potential casualties, and it may be the single greatest preserver of peace in history. If there's one lesson from history, it's to never count on a military conflict to deescalate of its own accord. With nuclear weapons, one miscalculation could mean the end of humanity itself. The core principle of nuclear deterrence proved useful during the Cold War, and several states have acquired nuclear weapons since. This will continue into the future without an exhaustive solution to ban and inspect worldwide. Counter to all previous administrations, the current US President, Donald Trump, has expressed indifference at the idea of a nuclear Saudi Arabia or South Korea, for example. As nuclear weapons become available to more states, the question for the future will be this: can nuclear war be deterred indefinitely, or will a nuclear exchange be inevitable? The Iraq War (or the Third Gulf War, to be abundantly clear for our international readers) was a war ostensibly to prevent the acquisition of nuclear weapons by a rogue state. The use of nuclear weapons was not a factor, but advanced conventional warfare was a decisive element. In this asymmetric war, the more powerful state was able to defeat the weaker state militarily with speed and ease. The 'Revolution in Military Affairs' emphasizes the utility of advanced technology in warfare, and the quick first phase of the Iraq War proved the effectiveness of the American military over Saddam Hussein's forces. A second phase saw a successful insurgency based on sectarian divisions and defined by indiscriminate terrorist tactics against military and civilian targets alike. Small arms and improvised explosives were potent elements in the insurgency, eventually forcing an end to the occupation in 2011. The Iraq War is just one in a series of failed military occupations in modern history, setting a rhythm for the future of war. Avoiding a long-term occupation will be a defining feature of success in future wars. Learning from the Soviet and American quagmires in Afghanistan and Vietnam wasn't enough to prevent more failed occupations, but it will be necessary for future large-scale military operations. The most important unanswered question of the nuclear age is whether or not two nuclear powers will be able to conduct limited war without escalating to the use of their strategic arsenals. As Russia continues to amp up its military activity to Cold War levels, the spectre of a NATO-Russia armed conflict could force the answer to reveal itself. More likely, however, the status quo will remain, with neither country engaging in a direct military conflict except with smaller proxies. A nuclear-armed North Korea represents a similar but distinct threat. The prospect of war between North Korea and its enemies would presumably be less globally pervasive, but as a result of its conventional military inadequacy, the risk of nuclear escalation in the short term is elevated. An outbreak of war on the Korean Peninsula at this point would very likely involve all weapons at the disposal of the Kim regime in order to avoid the swift military defeat suffered by Hussein, Gadhafi, and others. That could include nuclear, chemical, biological, or radiological weapons, and of course, the barrage of conventional artillery that would effectively destroy a majority of Seoul within hours. Under the current circumstances, the prospect of a limited war on the Korean Peninsula is miniscule, thereby making any purposeful military escalation unlikely. The natures of both war-fighting and war deterrence will continue to evolve with the international balance of power. Small-scale special forces will be the most active units in modern militaries, but nation-states will continue to require large forces to carry out or deter an invasion. Alliances like NATO will be relevant to preserving the balance of power, especially as rival hegemons attempt to increase their spheres of influence. Nuclear proliferation will continue to spread as nuclear weapons prove to be an effective deterrent for authoritarian regimes. While nuclear war remains a frightening possibility, it is more likely that both sides will avoid escalation out of fear of a nuclear exchange. In particular, North Korea's perceived unpredictability strengthens that fear. Other states may choose to emulate that volatility in regards to their future nuclear weapons. The future of war in the nuclear age is smaller and more precise, while simultaneously presenting us with the possibility of warfare so devastating that war itself becomes unlikely. Major wars between regional non-nuclear powers will continue, but only if the international system works to prevent nuclear proliferation. States like Saudi Arabia and Iran may choose to proliferate, but the international cost should preclude that option from consideration. The result of a limited war between nuclear powers is still unknown. As war has been inevitable throughout our history, it is better to keep conflicts at conventional levels rather than to escalate tensions with nuclear weapons. Great Powers must contribute to an international system that prevents nuclear proliferation among rogue states and regional powers. Russia and China have failed to fulfill their responsibilities with respect to North Korea. The international community must learn from this failure for the next nuclear aspirants, in order to prevent a nuclear exchange. 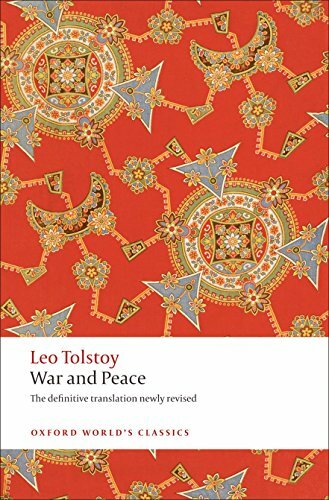 Today's book recommendation is War and Peace by Leo Tolstoy. Dec 30 What would another Iranian revolution mean for the wider region?